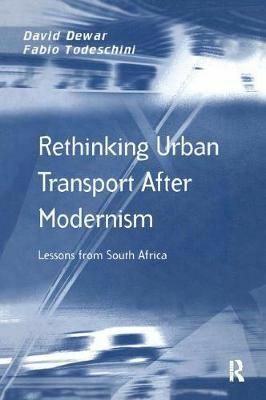 Description: For the last seven decades, urban settlement policy worldwide has been increasingly dominated by modernist precepts and by urban decisions made in discipline-specific 'silos'. The urban management consequences have been invariably negative, with increasing sprawl, fragmentation and separation resulting in a wide range of environmental, social and economic problems. This book explores the role of movement in a more integrated approach to urban settlement, and how thinking, policies and actions need to change. South Africa is used as a particularly good case study, since patterns of sprawl, fragmentation and separation have been exacerbated by apartheid, while recent legislation has demanded a reversal of these tendencies.